Australia’s Minister for Social Service, Dan Tehan, announced July 1st that the Australian Government will monetarily penalize any citizen whose children are not up to date on their vaccinations. The penalty, in the form of a reduction of government payments, amounts to $56 (AUD) monthly. 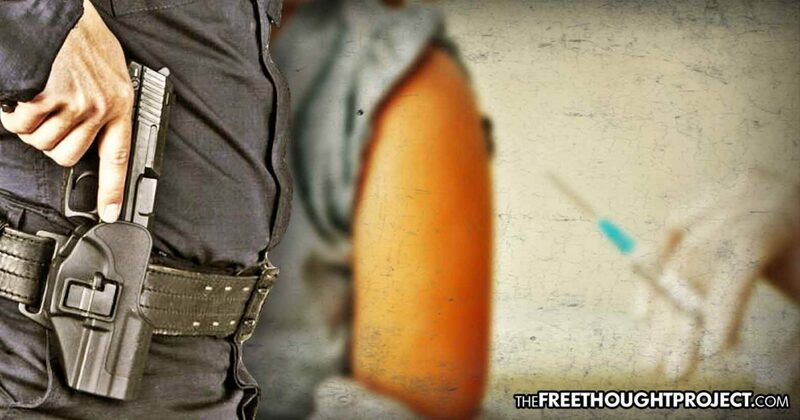 Called the “No Jab, No Pay” program, Australia aims to increase compliance with government mandated vaccination programs by taking money away from its citizens. Parents who refuse to vaccinate their children may continue to do so under religious or medical grounds, but will not be allowed to keep the money they were previously receiving from the government. Since the Turnbull Government introduced No Jab, No Pay in 2016 about 246,000 children and their families have taken action to ensure they meet the immunisation requirements. Immunization is the safest way to protect children from vaccine-preventable diseases. It is no question that the subject of vaccines is profoundly controversial. On both sides of the argument exists truth and lies that can hinder the ability of some to make rational decisions. While we have everyone from attorneys to biologists, to political scientists who write for The Free Thought Project, none of us are doctors, so we do not make recommendations about what you and your family should do in regards to vaccination. It is important to note, however, that this information is almost always absent from the mainstream media, which is why we find it necessary to report. The characterization of antivaxers is likened to WWII-era caricatures of the Jew, a rat-like repulsive view of people who are sincerely trying to protect their children from potential adverse reactions. Even doctors who provide medical exemptions for the vaccination of certain susceptible patients are caught up in vaccination shaming and governmental penalization. As TFTP reported last week, California’s Robert Sears, MD, was placed on probation after he provided his medical opinion vaccinations would be too risky for his patient, a 2-year-old boy whose mother said he suffered severe reactions to a previous vaccine. As a consequence of his medical decision to exempt a patient from government-mandated vaccines, Sears was punished and is now subjected to intense scrutiny of every medical decision he makes, simply for standing up for the overall health of one of his patients. In a Facebook post he explained he agreed to the probation in lieu of a costly court case where he may have actually lost his license to practice medicine altogether. Mocking antivaxers for refusing vaccines on the basis of religious or medical reasons, and penalizing doctors’ medical decisions runs counter to preventing and minimizing actual risks associated with vaccines. As TFTP has reported, the U.S. Government has paid out well over 3 billion dollars in damages to citizens who claim vaccines caused them harm and even death. Known as the National Vaccine Injury Compensation Program, the program lists a myriad of complications with which those who receive vaccines can become afflicted. Those payouts have time limits established from the time the onset of symptoms occurred to the time a payout can be requested. Often, the sick do not put two and two together — that their vaccine has made them sick — in time enough to file a request for compensation for damages. Last year, an Arizona nurse we will call “Andy” took the flu vaccine. The hospital where she worked forced her to take the flu vaccine, even though she objected, and threatened her with the loss of her job if she didn’t kowtow to their demands. Immediately after taking the flu vaccine she developed debilitating complications. Chronic pain, weakness, numbness tingling, and subsequent depression set in. She was diagnosed with Chronic Inflammatory Demyelinating Polyneuropathy caused by the flu vaccine, she contends. She can no longer work as a nurse but is not about to give up her fight. She’s suing the hospital as well as the manufacturer of the flu vaccine for the very real damages she’s sustained. Still, advocates for the vaccinating of all humans contend the health risks associated with not vaccinating children and adults far outweigh the suffering associated with complications. The story of the history of vaccinations demonstrate the power Big Pharma has over the people. Not only will CDC scientists lie, omit, and cover-up the fact some of these vaccines are not safe but they will demonize and penalize anyone who disagrees with their findings. All the while they quietly pay billions in damages to victims of bad medicine.